Sick of ruined walls and torn posters? 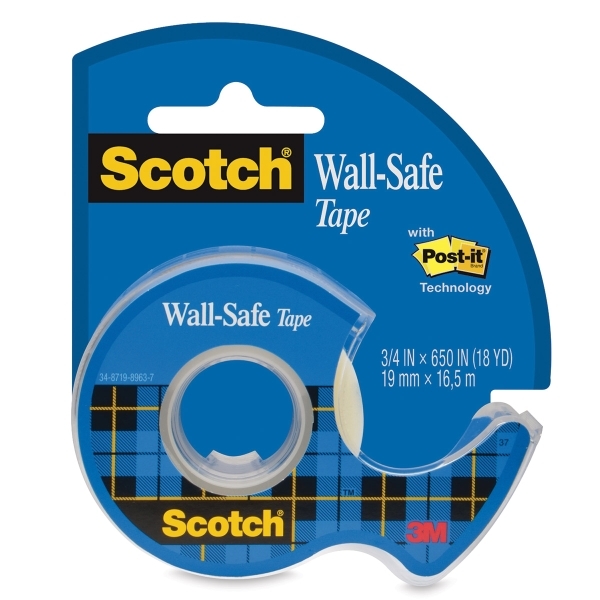 Scotch Wall-Safe Tape to the rescue! Wall-Safe Tape is made with unique Post-it brand adhesive technology, so it sticks well, but can be removed without damaging walls, photos, and art. It’s safe for many surfaces, including painted drywall, stainless steel, wood, tile, mirrors, and windows. It comes in a refillable dispenser.